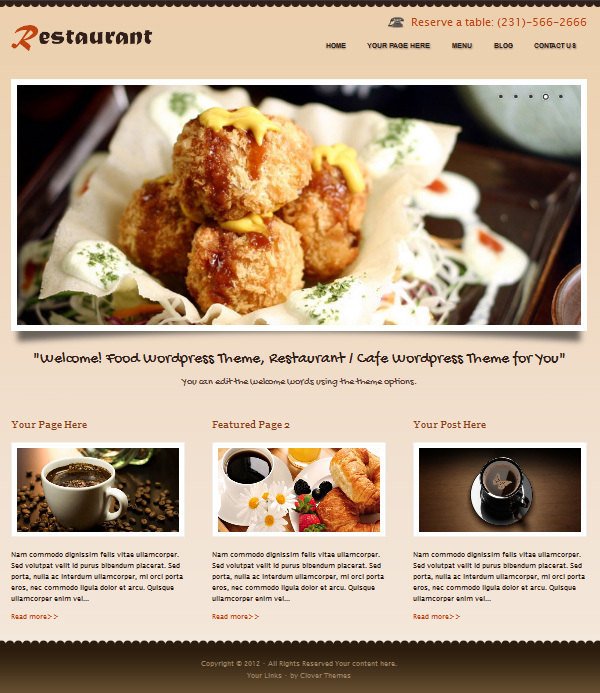 This is our second WordPress theme for restaurant related websites. You can check our first Restaurant theme here. 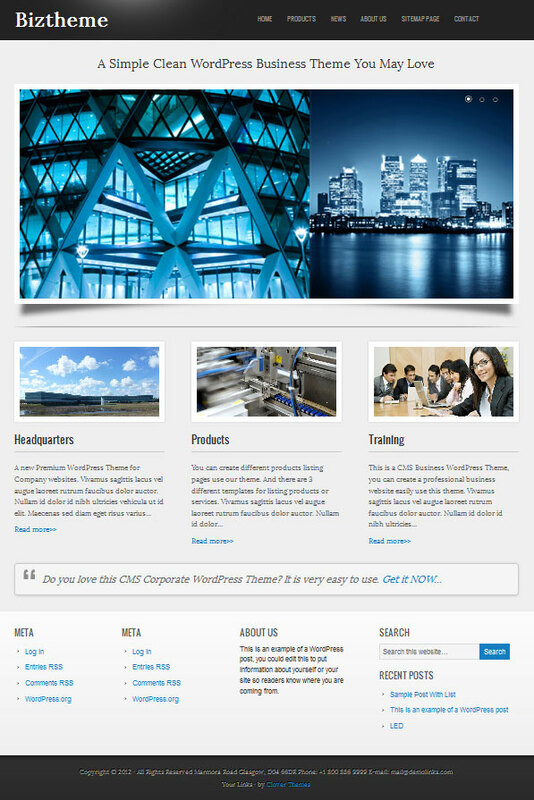 In this theme, we have developed new theme options, which can help you setting your site easier. You can upload your own logo, your own favicon just use the new theme options. A new cool jQuery slider with some options will help your visitors know the most important info. Bellow the jQuery rotator, you can write some eye catching words. And there are 3 featured pages bellow the words. You can display the featured titles or not. There are 3 menu listing templates, you can create clean elegant menus using our menu template, and it is easy to use, not like other premium WordPress themes, most of them are creating custom post types, which sometimes may not compatible with your permalink settings. And we don’t use any plugins to create the menu. 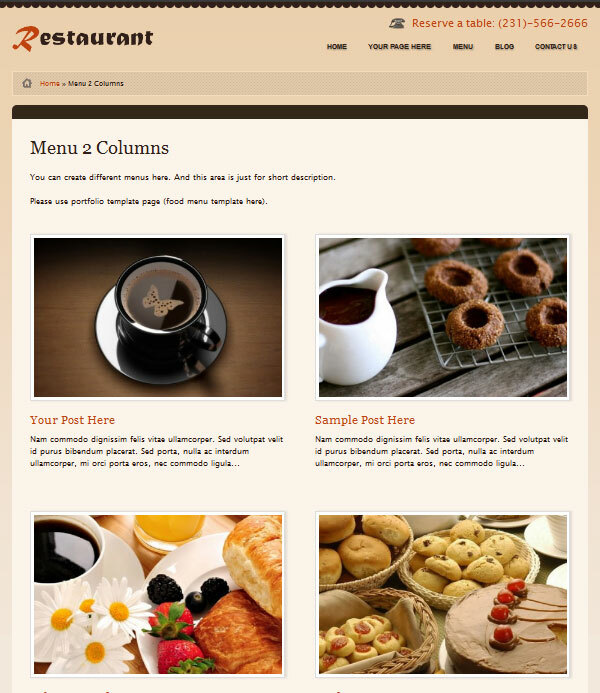 It is very easy to use: create your menu like writing a blog! We have created video guide for this theme. 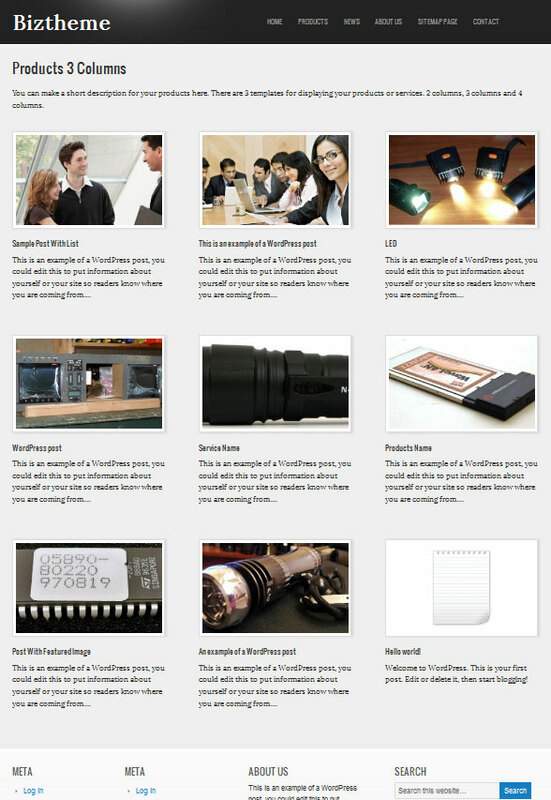 And there are 2 blog templates for you to choose from. One with featured images, and one without featured images. Check it out here. WordPress restaurant themes Always beautifully designed with many features so it is suitable to develop the website for restaurant, cafe, food, drink or cooking blog. This is a CMS WordPress theme designed for Doctor’s websites, Health Clinics, Dentist’s Offices or anything medical related websites. Looking for great WordPress celebrity, fashion and gossip theme? Or just looking for a WordPress magazine theme for style, beauty, fashion, women related pink WordPress Theme? Here it is. You need a profitable site, then we designed this theme no matter you are looking for a high CTR WordPress theme or looking for a search engine optimized template which is good for CPM advertising. Related posts with thumbnails ready, no plugin needed. Photo Galleries in Posts, cool image page added, you can display the WordPress uploaded images’ title, captions and descriptions in one page, great for the fashion, beauty related sites with a lot pictures. Check the demo site here. If you work with WordPress, you are a web developer of some kind. Whether it is your full time job or just a side gig, you may want to display your work or services. 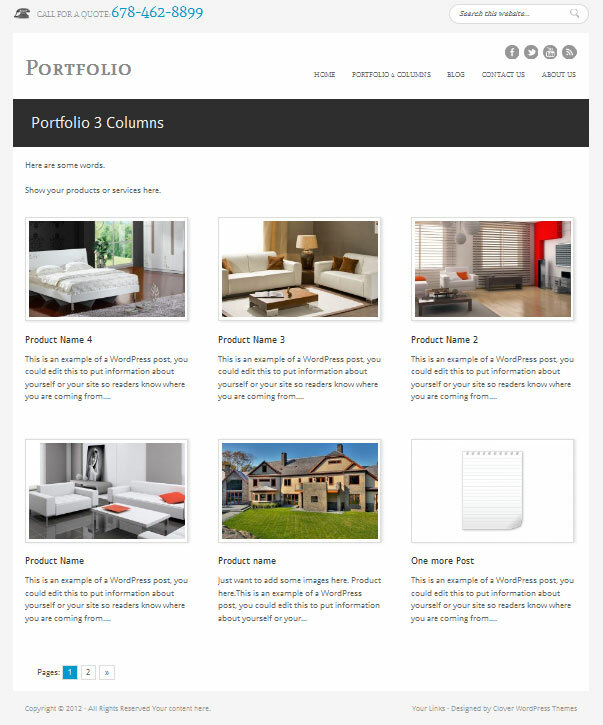 As WordPress themes become more and more specialized, portfolio themes have developed rapidly. From their beginnings as a simple blog built for displaying images… all the way to stunning sliders and interfaces, here is our first Portfolio theme for WordPress. 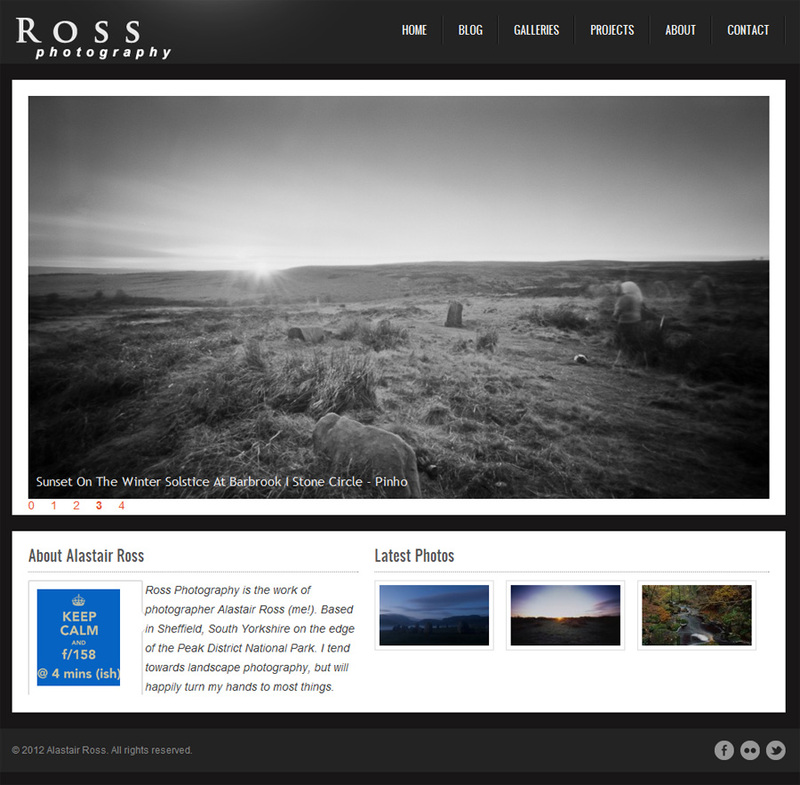 Automatic Image resizing on Portfolio and Blog pages. 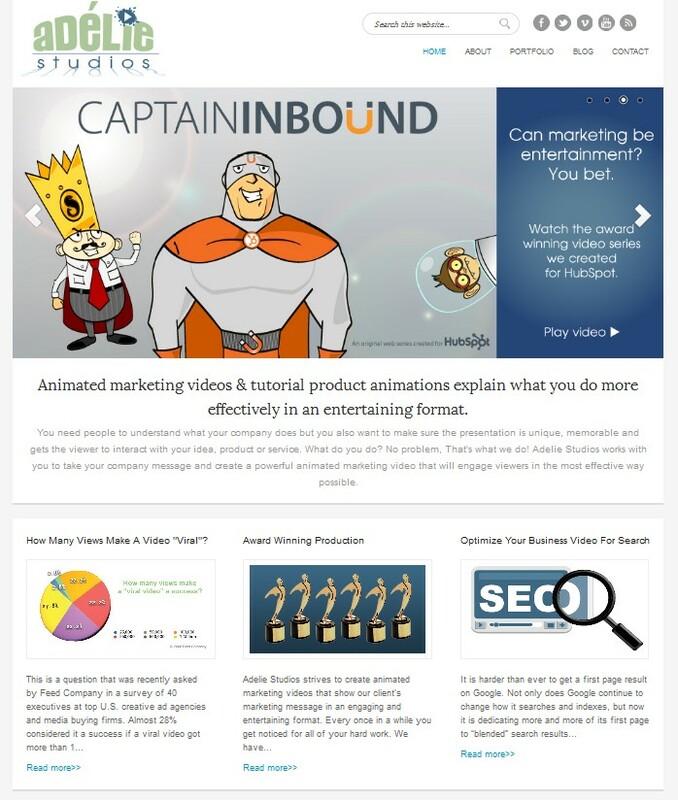 Video Tutorials to help you setup your new website. coBusiness is a clean and stylish WordPress Theme well suited for any business, portfolio, blogger, or anyone needing a beautiful website. coBusiness comes with 1 jQuery slideshows, widget ready, 2 blog templates, 3 portfolio templates, 1 full width page, one sitemap page. The portfolio templates are good for products or services showcase, you can display your products or services in 3 different templates. Why not check the demo site? A lot guys looking for clean, easy to use magazine style WordPress themes, then we designed this News theme. I have to say, this is an Google Adsense ready WordPress theme, with advertisement management options, you can manage your ads without touching the code, of course you can add any other ads on the site. 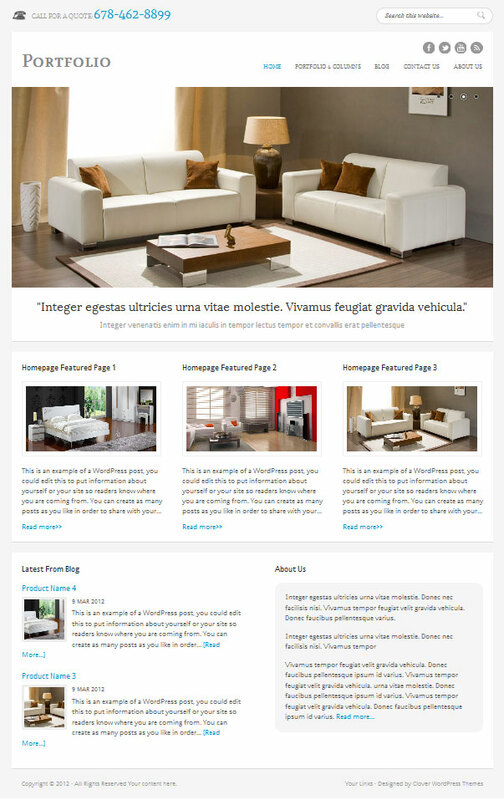 This theme is great for auto sites, travel sites, celebrity sites, and any other content rich sites. Custom background, custom logo, custom favicon, custom menus, featured images, fixed width, theme options, threaded comments, image gallery ready, jQuery Slider / Rotator ready. A Photographer using our PhotoPro Theme. 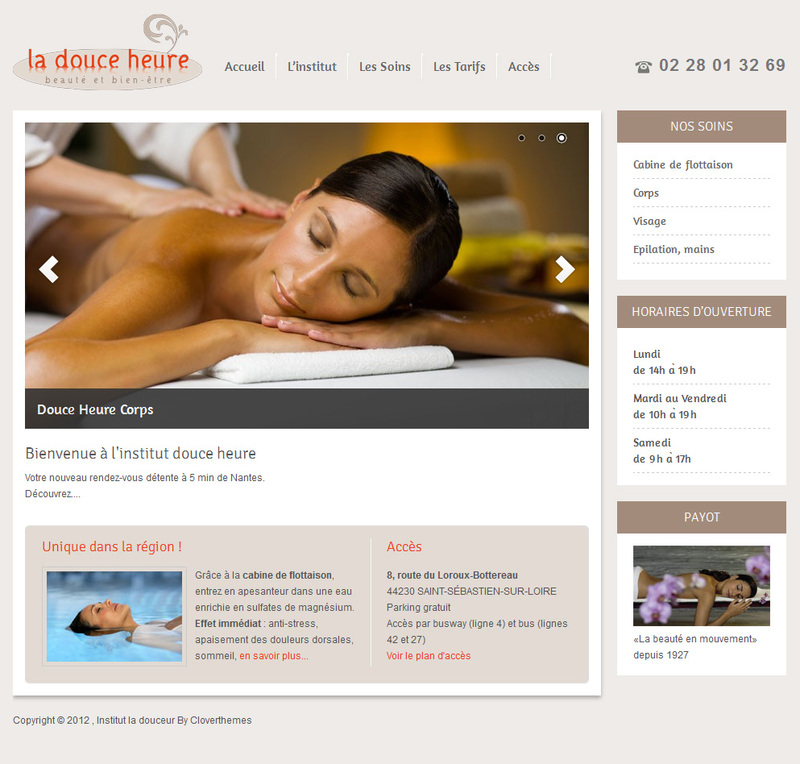 This is a beauty site using Salon WordPress theme.